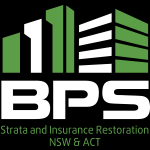 BPS Strata Maintenance provide a genuine 24 hour 7 day insurance restoration, emergency and make safe service to our clients throughout NSW and ACT in the event of a Fire, Storm, Water Damage, Impact Damage, Burst Pipe, Glass or Vandalism. As Panel Repairer (including after hours) to the leading strata insurance companies – CHU, Longitude Insurance and SCI, we have the ability to make the whole claim process as simple as possible with do and charge capabilities, direct billing and no claim forms. Our team have a full understanding of the rules differentiating between Building and Contents policies and are capable of carrying out all aspects of insurance work promptly with the aim of minimising loss and stress.